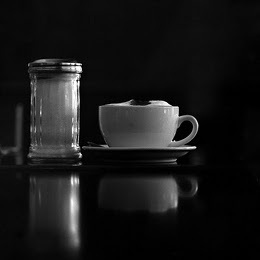 instant coffee, washing soda and vitamin-C. This developer deserves more attention. Anyway, here's the original post, it was a great film, r.i.p. the german distributor Macodirect.de - well known for the Rollei films and developers - introduced 2 new films in late 2010, the Rollei RPX 100 and Rollei RPX 400. Both films are produced in Europe and are classic cubic emulsions. We were waiting a long time for a replacement of the Agfa APX 100 and 400. and Maco finally succeeded. A test with the 100 ASA film is intended for April by me and I could get first impressions of the RPX 400 in 35 mm format. 120 format is also available In the US the films will be availavle at Freestyle in a couple of weeks, 35 mm earlier than 120. 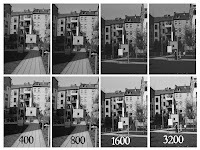 The films have a regular panchromatic colour sensitivity. Improvements are said to be made with the new films and I can confirm that the RPX 400 is really a great new film and works very fine in Caffenol-C-L! Aren't that good news? So lets have a closer look. The first batch was devoloped with my standard routine in Caffenol-C-L 70 minutes semi-stand at 20 °C. In the first row you see exposures from EI 400 - 3200 without any postprocessing in brightness or contrast, the second row is edited as I thought it looks good and tried to make them all look as similar as possible. Already the EI 400 picture needed some brightening and contrast enhancing, indicating that the development was not powerful enough. 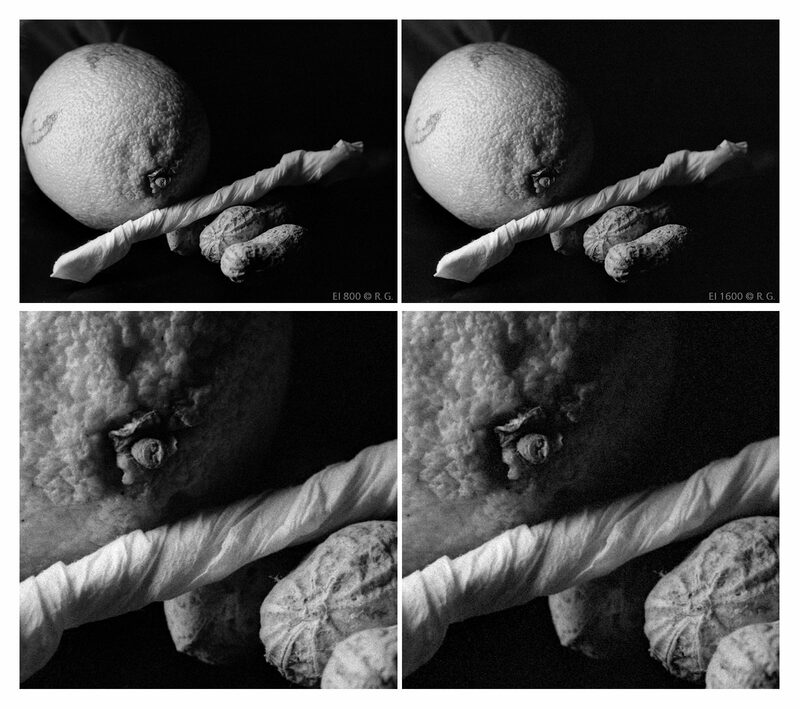 Nevertheless the results at 400 and 800 are very pleasing, at EI 1600 you see some loss in shadow detail, and the 3200 exposure is quite bad if you look at the 5x5 mm crops (neg size), where the grain is only pretending non existable shadow detail. Obviously the film needed more development. In every other relation the film is very easy to handle. Scratch resistant, good halo protection, perfect film flatness etc. For the next test I've choosen a more delicate subject with a rather big contrast due to the strong side light and a dark surrounding. I didn't care for an EI 400 exposure but started with EI 800 going up to EI 3200. Development was 80 minutes in Caffenol-C-L with 1.2 g/l potassium bromide, 5 mins presoak , 24 °C pure stand development and agitation only for the first minute. Yes, 80 mins @ 24 °C! To keep the temperature I used a mantle bath with water of the same temperature. The stronger development should give the best film speed and more contrast, and the lack of any agitation after the first minute should avoid burnt highlights. When I took the wet negs out of the tank for drying I immediately knew: yep, that's it! The EI 800 exposure is spot on, almost no postprocessing needed, the grain is very fine for EI 800 and the contrast is simply perfect. No blown highlights at all. Base fog is still low enough for easy to enlarge wetprints, perfect even development. I was amazed. Rarely I've seen such fine negs at that speed. EI 1600 is still usable when enhancing the shadows a bit at the price of some more visible grain in the dark areas and a very slight shift of tones. Again EI 3200 was unusable with very ugly grain in the shadows and it's not displayed here. The last batch I tried with 90 minutes @ 24 °C and that was too much. Increased base fog and grain and no speed gain. This image was exposed at EI 1600 and it seems, that for finest results EI 800 or maybe 1200 are the limit. Conclusion: the Rollei RPX 400 is a great new film and competes best with all premium films available at a very attractive price and is very suitable for developing in Caffenol-C-L. The film seems to need and can manage without drawbacks a forceful development. I have no doubts that the film will also perform beautifully at lower speeds with adjusted development and we have a handy film for speeds of EI 200 - 1600. Very high and affordable quality, what do we want more? Well, I've tried like you last few weeks: agitate first minute then let's stand. But it's overexposure at near bottom edge and underexposure at top edge of the film. did you use 35 mm or 120 film? How much potassium bromide did you use? With 35 mm film and 1.2 g/l potassium bromide I can not see the slightest signs of uneven development, no streaks near the sprocket holes, perfect even development from top to bottom even @ 24 °C, 90 minutes. One could easily locate unevenness either in the sky parts or the dark background of the displayed pictures. They are perfect. Also the blank parts of the negs - film leader or between the pictures are perfectly even developed. I used 135 film, and I got the problem is not enough potassium bromide. Next time I'll try to add more than 1g. hi, i´ve got a roll of APX400 left. it turned out. that i had to expose it somewhere between EI640 an 1250.
would you recommend stand-developing it with C-C-L just like you did with RPX400 or should i better try C-C-H.
unfortunately i got only 1 try an already exposed the pictures. pictures should all be in very lowlight with only little contrast- so enhancing contrasts a little would be great. I would develop exactly as described above, 24 °C, 80 mins pure stand dev, Caffenol-C-L with 1.2 g/l stand development, presoak 5 mins, agitate first minute, let stand. 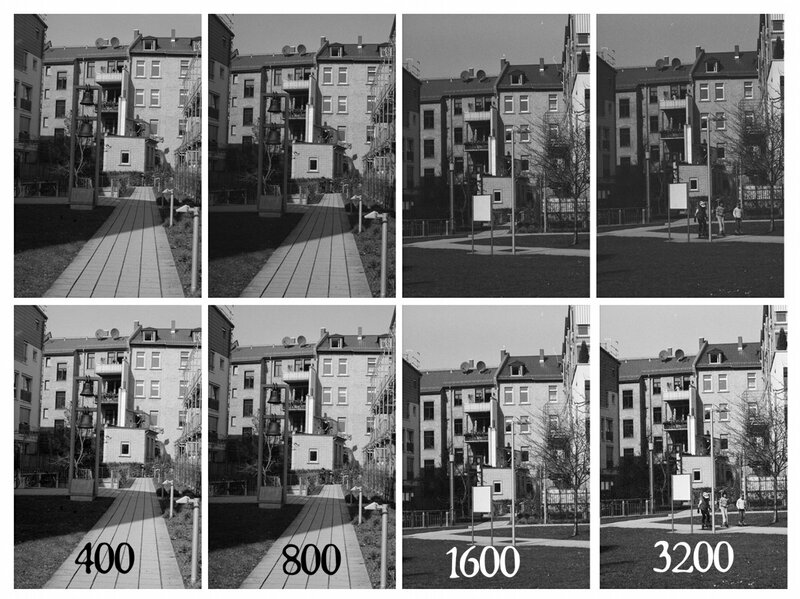 How you compare new Rollei RPX400 to Kodak TriX400 ? I'm have 2 rolls of RPX to use. I like to use 1600iso speed by night. I got a bit confused when you wrote that 90min is too much and creates fog. Do you think that I should develop it for 80min? "The last batch I tried with 90 minutes @ 24 °C and that was too much. Increased base fog and grain and no speed gain. This image was exposed at EI 1600 and it seems, that for finest results EI 800 or maybe 1200 are the limit." Not too difficult to understand, isn't it? When pushing you always get increased fog, sometimes more, sometimes less. 90 minutes was to much for my taste. awesome blog. I developed quit a few in coffee so far. 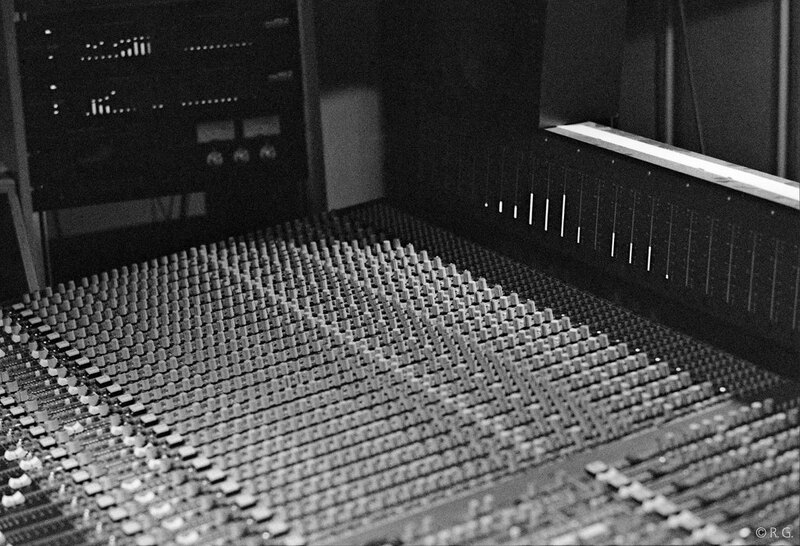 However with my last try (RPX 400 @ 800 developed for 80 minutes @ 24° in Caffenol-C-L) I got some weird black stripes on my negatives in about the same distance from each other always. (135 film, stripes appear from side to side and are about 4 mm wide. There's one in almost every picture. Too sad really!) Any idea how to prevent that in the future an what caused it? I did exactly as you described. Used iodized salt instead of bromide though. Stupid me. The camera had a Light-Leak. Other than that contrast and everything turned out very good. Thanks again for all the advice on your blog. Hi seized beats, without seeing the faulty negs it's difficul and I'm not good in reading coffee grounds, haha, but I could imagine that it has nothing to do with the development. Maybe light leak of the camera? Why you use such hard-to-see background/text colors? In desperation I even tried Opera browser - clutching at straws! But still same crappy page presentation. Go and get a seeing-eye dog, wal.